American musical theatre actress and singer Emily Skinner (b. Richmond, VA, June 29, 1970), especially lauded for the purity of her voice, stars on- and off-Broadway, in regional theatre, and on recordings. Skinner has been closely associated since 1997 with Alice Ripley, her co-star on Broadway in Side Show, a musical about the conjoined twins Daisy and Violet Hilton who rose to stardom in vaudeville during the 1930s. Singing “I Will Never Leave You,” “We Share Everything,” and “Who Will Love Me As I Am?” the two actresses developed a lasting friendship and – for the first time in history – shared a Tony® nomination for the Best Actress Award. 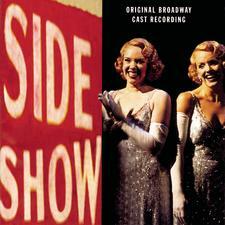 Their duet-singing style was so remarkably effective that they collaborated on three more (besides the Original Cast album of Side Show) albums: Duets, Unsuspecting Hearts, and Raw at Town Hall, a live taping of the joint concert they gave in 2006. Emily Scott Skinner went to college at Carnegie Mellon University and moved to New York City in 1992. Her Broadway debut took place five years later in Jekyll & Hyde, a show she had helped to develop earlier in workshops. She played five bit parts and understudied two of the leads. However, she did not stay long, being plucked from the cast to star with Ripley (who did look remarkably like a twin) in Side Show. In 2000 she was with Marni Nixon and Christopher Walken in James Joyce’s The Dead; Ripley was in the cast also. 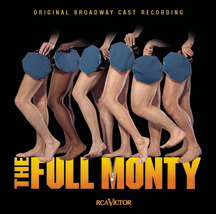 Subsequent Broadway performances were in The Full Monty (2000) and the revival of George S, Kaufman and Edna Ferber’s Dinner at Eight (2002). Skinner also took part in the Actor’s Fund benefit productions of Dreamgirls (2001) and The Best Little Whorehouse in Texas (2006). At the New York City Center she appeared in the Encores! productions of No Strings (2003), the rare Gershwin musical Pardon My English (2004), and A Tree Grows In Brooklyn (2005). Off-Broadway she has played in Fanny Hill, and at the Kennedy Center in Mame and Merrily We Roll Along. Skinner has directed and sung in several Broadway By the Year concerts at Town Hall, and has appeared with the New York Pops at Carnegie Hall, with The Pittsburgh Symphony, The Dallas Symphony, The Virginia Symphony, and The Jerusalem Symphony. She has sung on special occasions at Merkin Hall, Avery Fisher Hall, and Symphony Space. 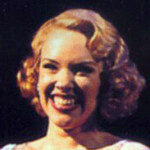 Her recordings, aside from the cast albums for Side Show and the animated feature Anastasia, include those she has made with Alice Ripley; Elegies for Angels, Punks and Raging Queens; The Stephen Sondheim Album; Wall to Wall Sondheim; Believe: The Songs of The Sherman Brothers; The Stephen Schwartz Album, and her own solo CD, Emily Skinner. In January 2008, Emily Skinner starred with Harvey Keitel in the sensational New York premiere of Jerry Springer the Opera at Carnegie Hall. She is becoming a regular attraction at the Signature Theatre in Arlington, VA, having appeared in The Witches of Eastwick in the summer of 2007, and in Ace in August/September 2008. It is rumored that Ace is headed for Broadway.